Construction of the 353 megawatt (MW) wind farm created 700 jobs, with the foundations installed at a rate of four per week and all 56 turbines constructed in just one season – both firsts for innogy on a project of this scale. Galloper will run for over 20 years, making a significant contribution towards the decarbonisation of the UK’s energy supply. The amount of green power the wind farm is expected to generate on average each year is approximately equal to the annual electricity needs of more than 380,000 UK households 1. 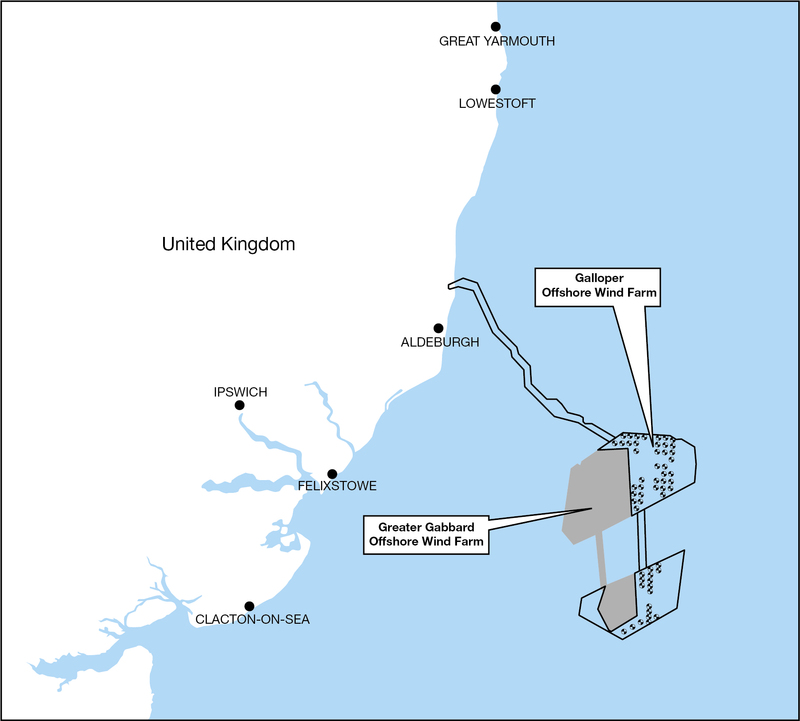 1 – Energy predicted to be generated is derived using wind speeds monitored in the local area and correlating to historical weather data providing longer term data. The calculations are based on an installed capacity of 353 MW. The energy capture predicted and hence derived homes equivalent or emissions savings figures may change as operational data are gathered. Equivalent homes supplied is based on an annual electricity consumption per home of 4100 kWh. This figure is supported by recent domestic electricity consumption data available from The Digest of UK Energy Statistics and household figures from the UK National Statistics Authority.